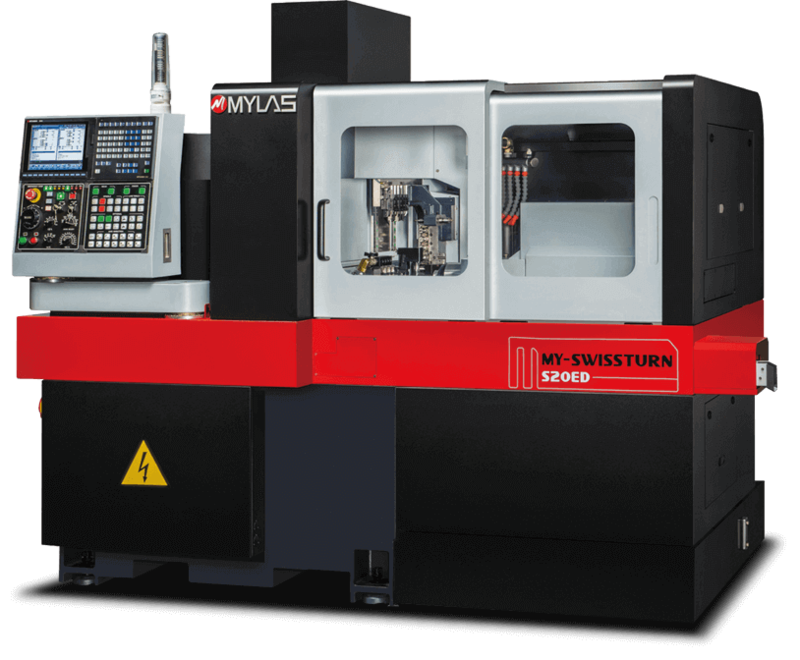 Capabilities: This multi-tasking turning center is an advanced and economical solution designed to process precision complex parts with fast cycle times. 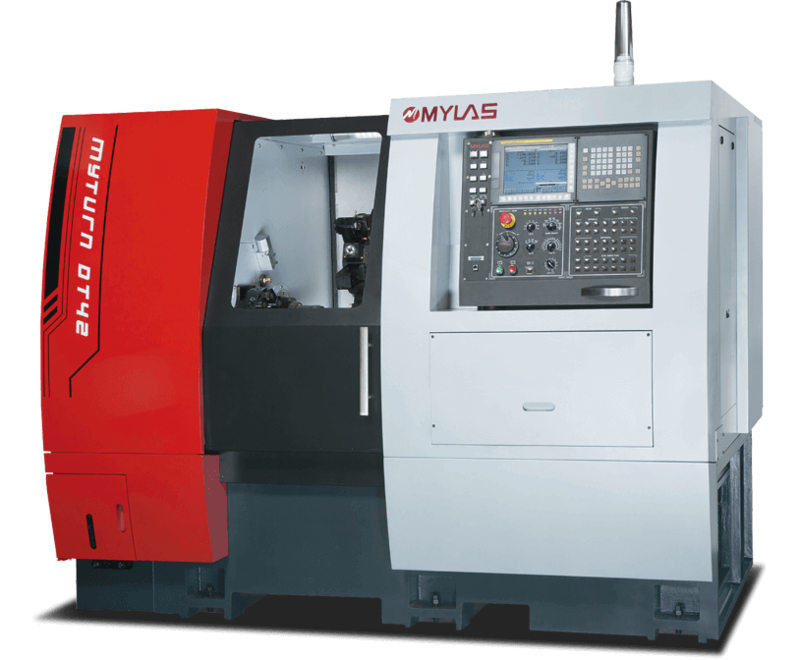 Power & Versatility: It has Double Spindles, a BMT 12 station turret and 4 gang tools for economical machining. 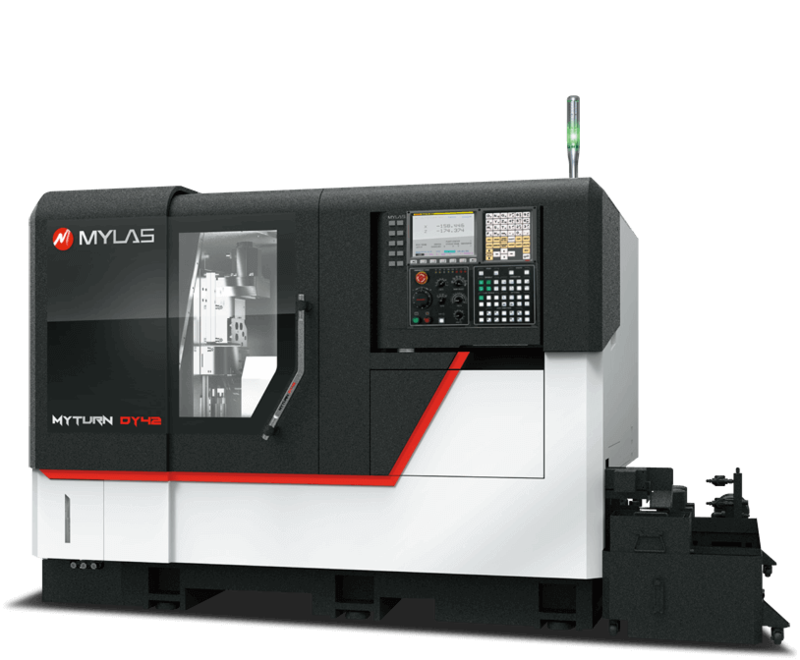 Coupled with superimposed cutting it’s a powerful solution for precision complex workpieces with extremely fast cycle times. The main turret has 12 stations. 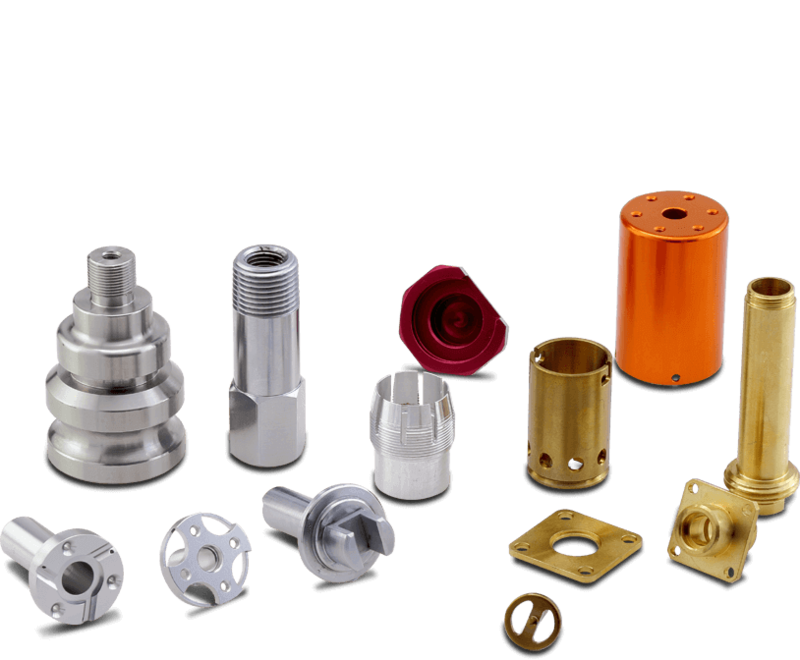 With multi-tool holders up to 24 tools can be equipped. 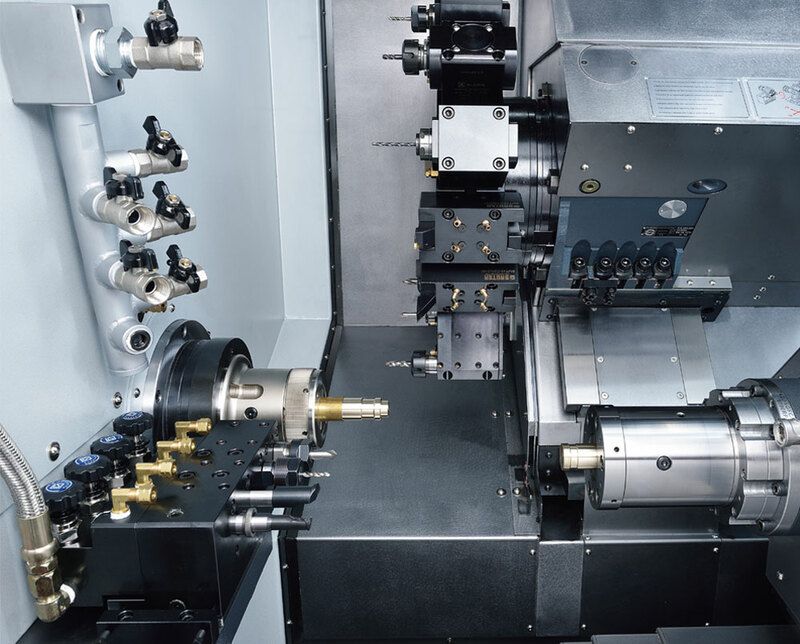 Driven tools at all 12 stations are possible. 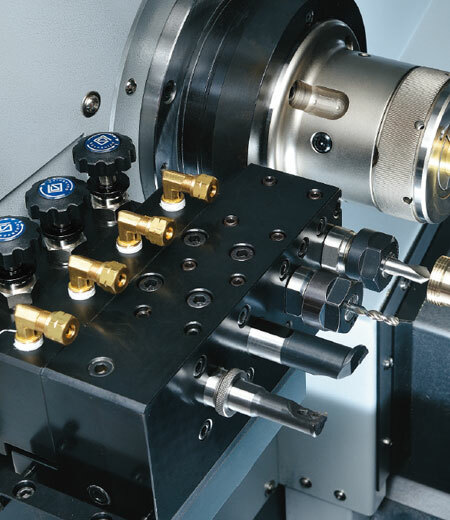 GT42-4x 20mm ID Tools, GT52- 4x 16mm ID Tools, or 3x 20mm or 3x 25mm for complex, fast back machining & superimposed cutting that reduces cycle times. 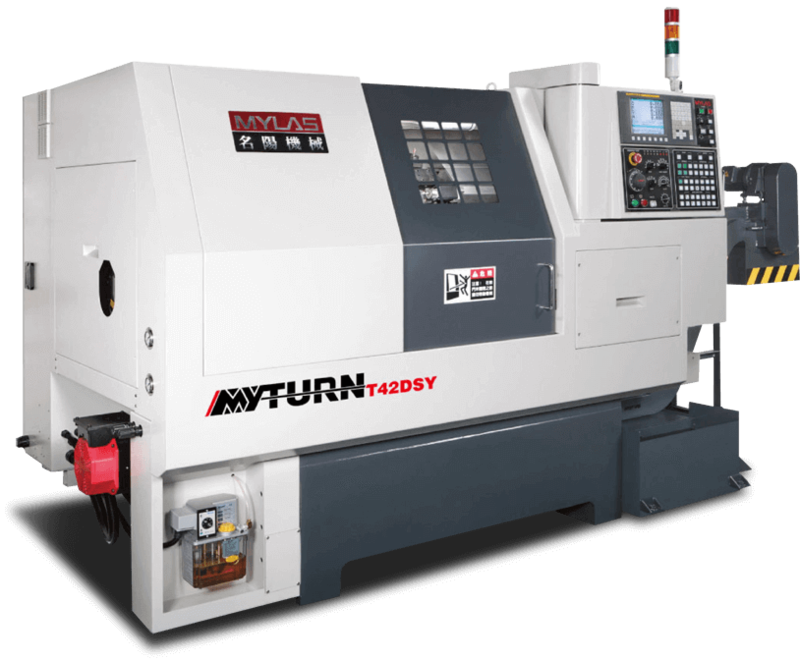 The main turret has 12 stations, but with multi-tool holders up to 24 tools are possible. 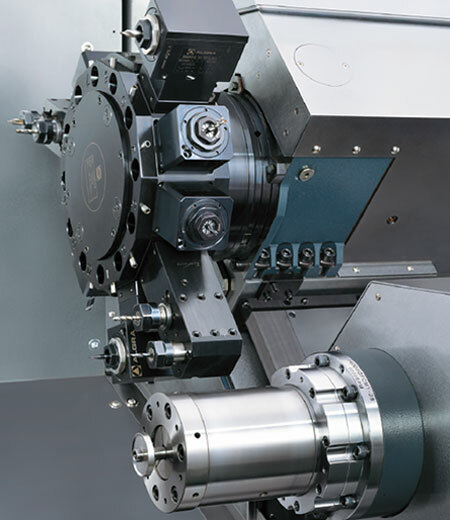 Fanuc Alpha 2 motors provide driven tools up to 6000 rpm with high power and speed. 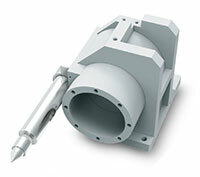 Bidirectional turret indexing allows the shortest path to the next tool for faster cycle times. 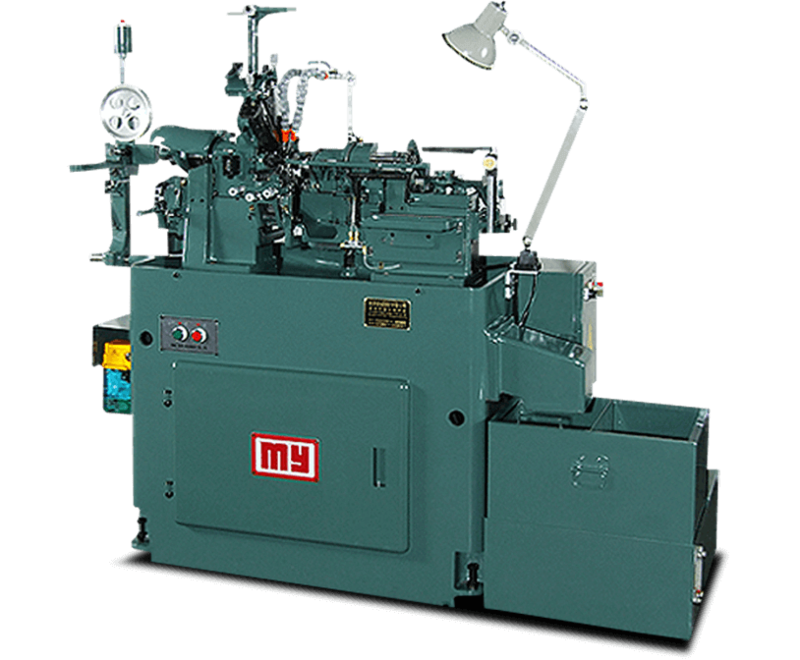 A 20 bar high pressure coolant system provides fast chip removal and longer tool life. 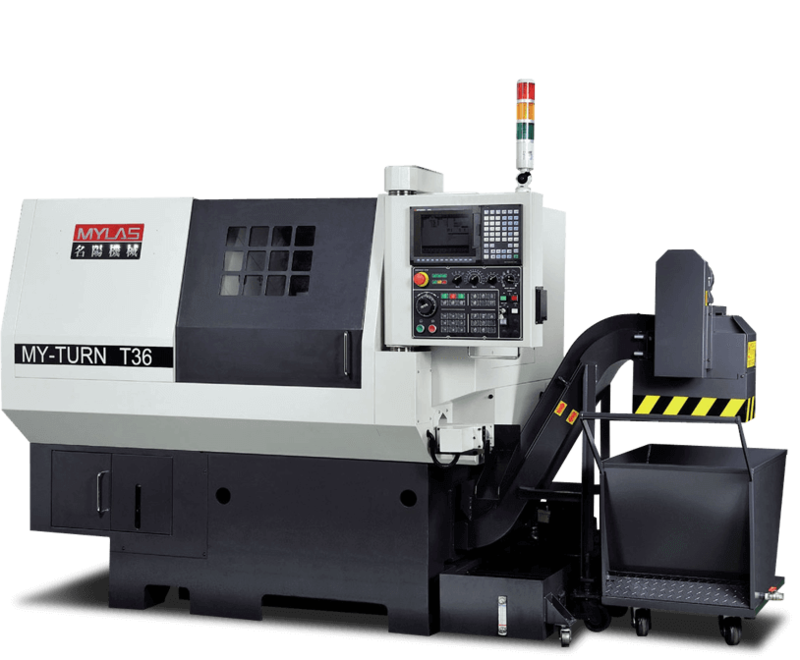 For back machining, the 4 gang tools can shorten machining times and provides an economic solution for processing of mass production parts. 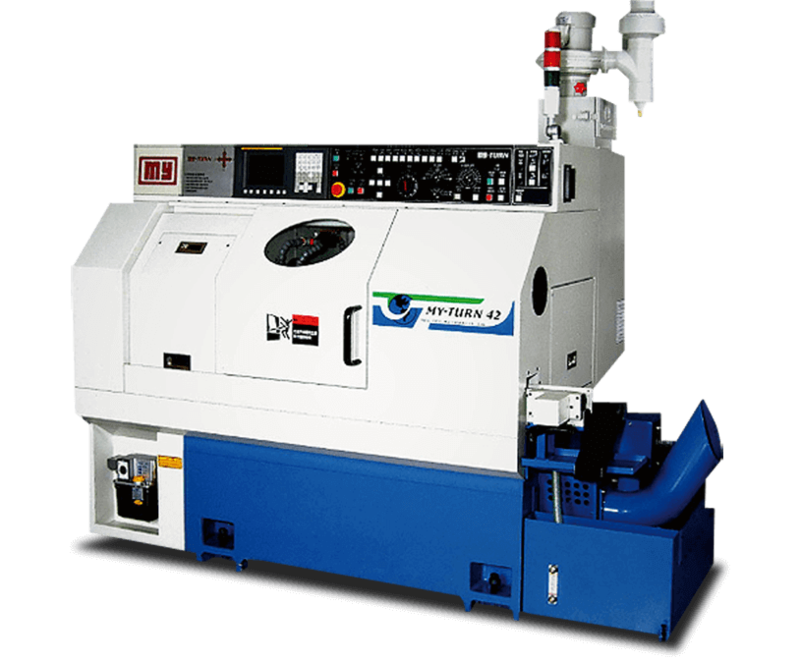 An optional tailstock unit is available to process long parts in the same setup for added versatility. 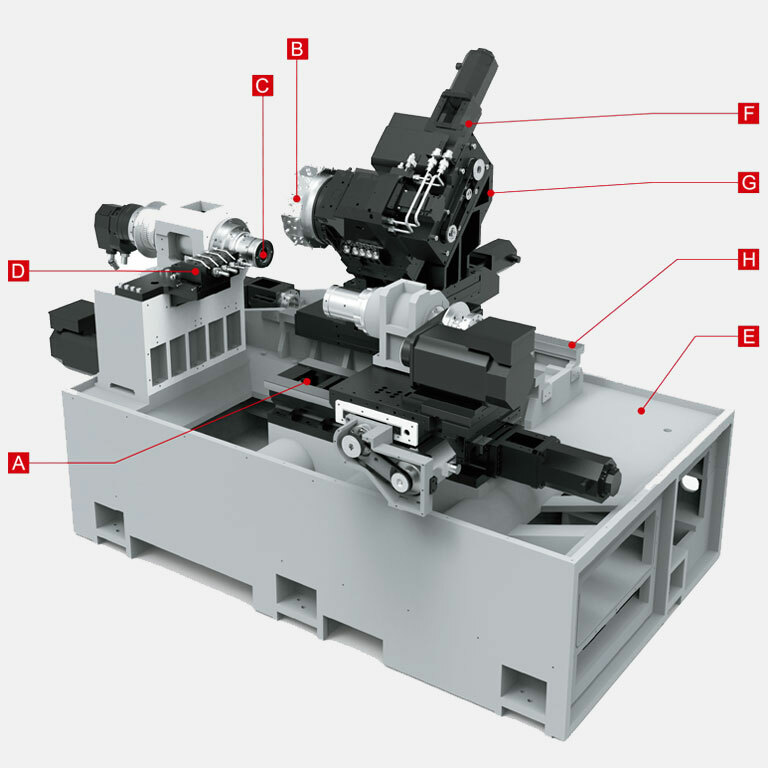 24 Tools Possible-12 station German branded turret for reliable heavy-duty cutting for non-stop production is equipped with half-indexing and fast tool changes of only 0.2 sec. 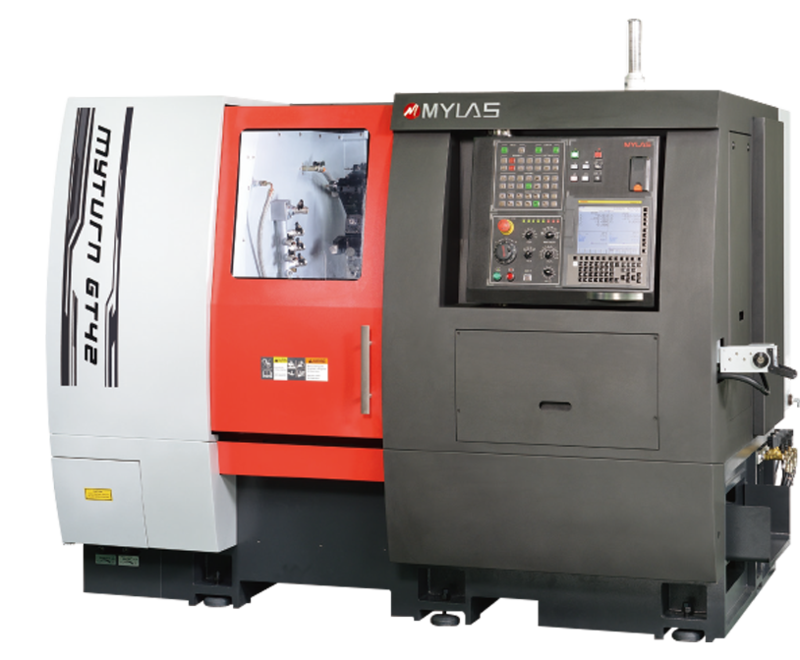 4 tools-For back machining of complex workpieces, the added capability will shorten cycle times significantly.